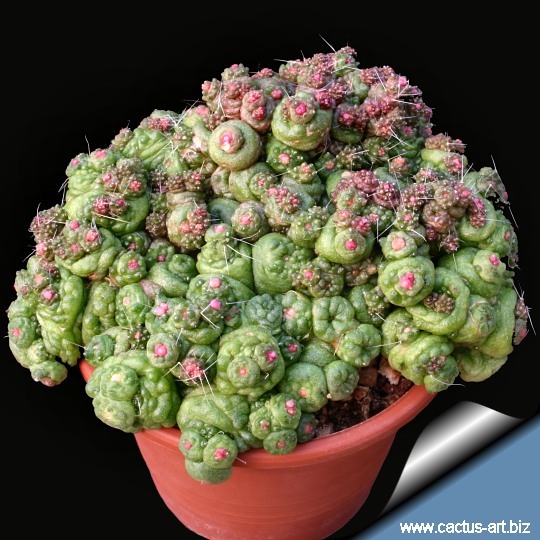 Description: Fred is one of the most famous and strange monstrous cactus cultivar that forms very rubbery and squishy green and pink glob. It is a mutation that formed on a normal M. bocasana...it was cut off and started on it's own. This cultivar shows many growing variations, with different crested and monstrous shapes. 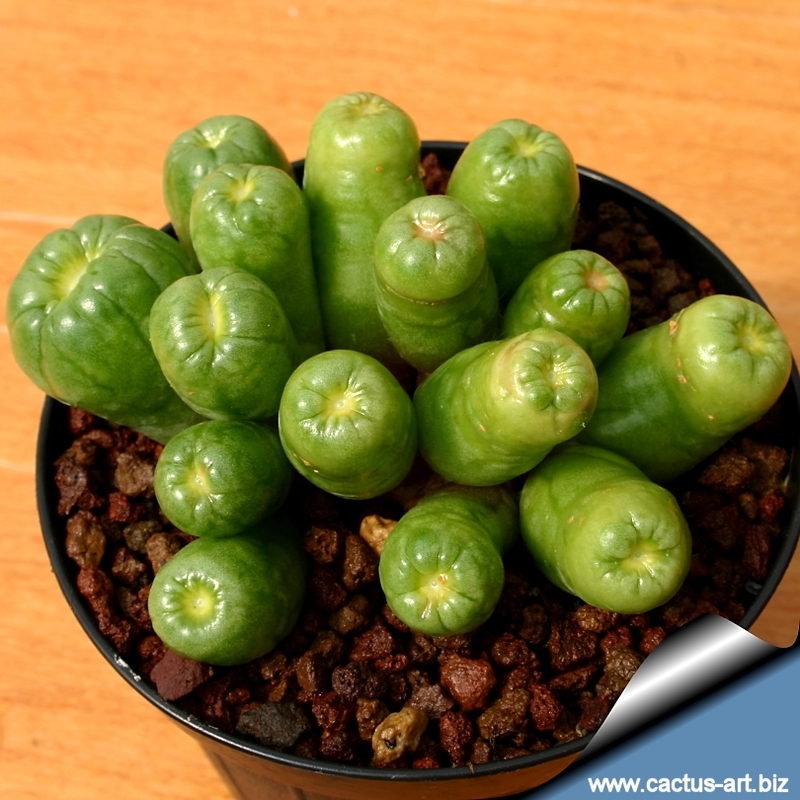 The plant looks more like some non-cactus succulent than a cactus. 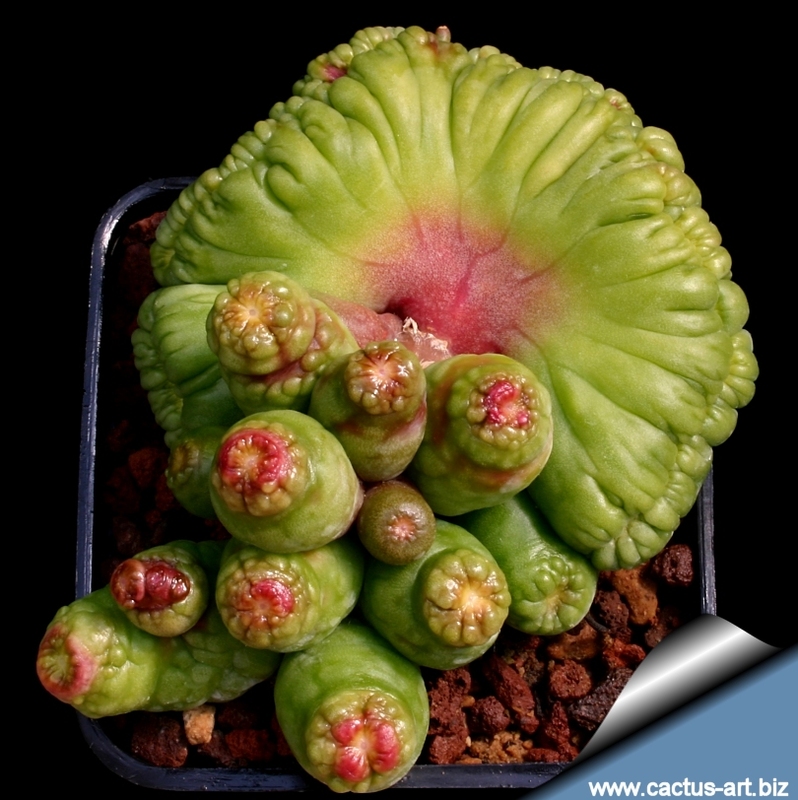 Rarely a spine or a hair, monstrous or crested flowers. 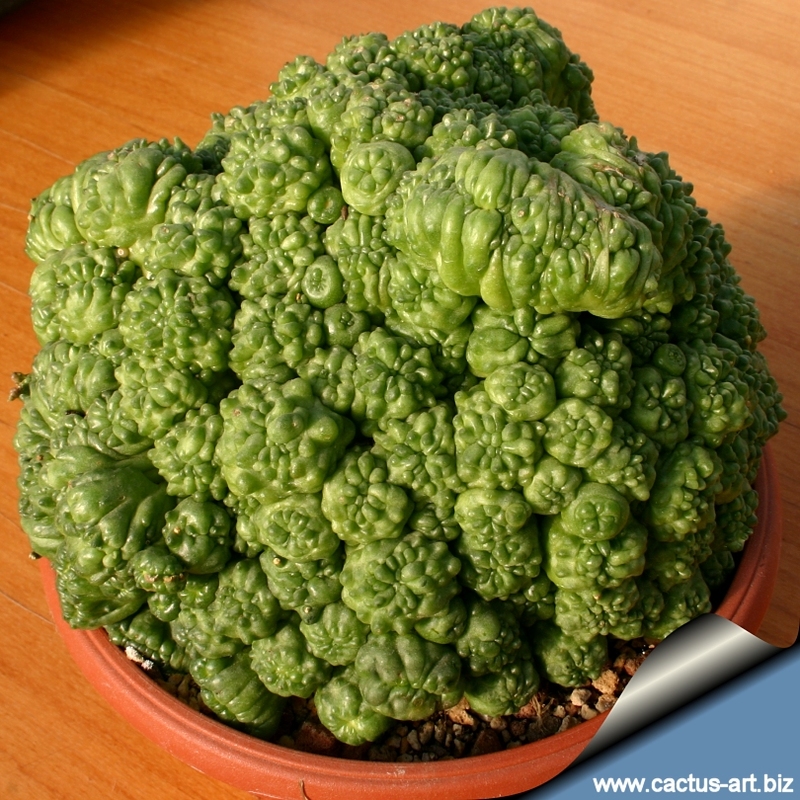 It may enlarge to form low, massive clusteres. 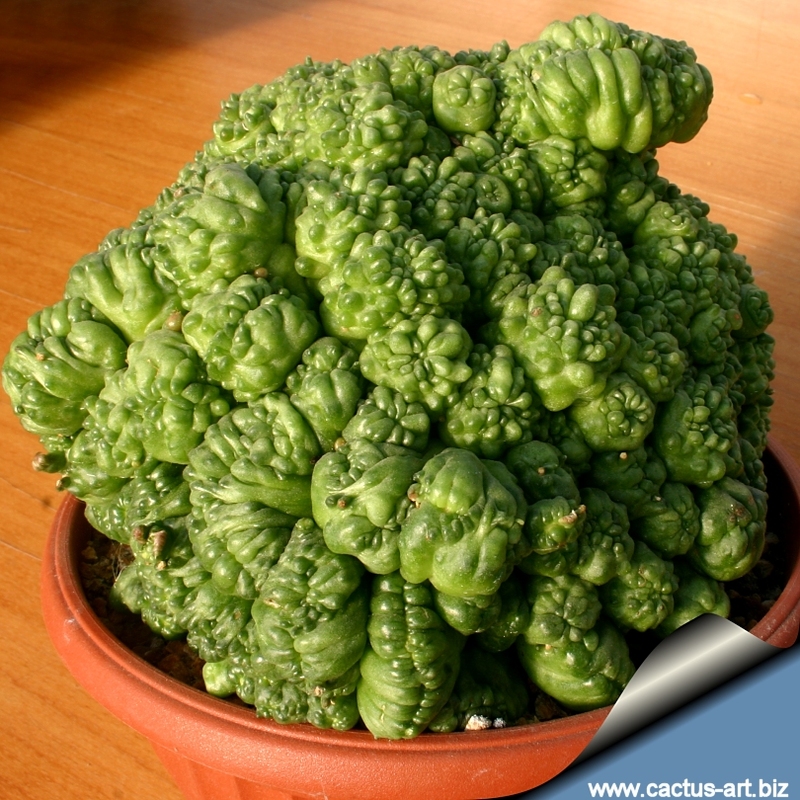 Stem: Soft, smooth, lumpy, rubbery-textured (much like a tumor) green and pink, some only a few centimetres across. Sometimes it will grow a branch that reverts back to a normal looking cactus, complete with spines and flowers (sort of a reverse of how a Fred began), while the rest of the plant remain mostly monstrous. 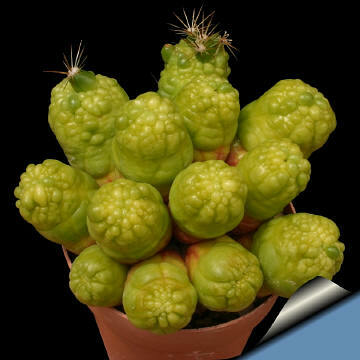 Etymology: Named for the guy that discovered it, this unusual odd spineless mutant plant had scientists baffled for quite some time before it revealed its true self! with really weird shapes. A fat and juicy little blob. Cultivation: Mammillaria bocasana "Fred" grows well on its own roots. Keep well ventilated, as it is prone to root rot. Protect from frosts and freezes. Hates the full sun in summer. It can thrive for years, but tend to self destruct, especially when it really odd looking. 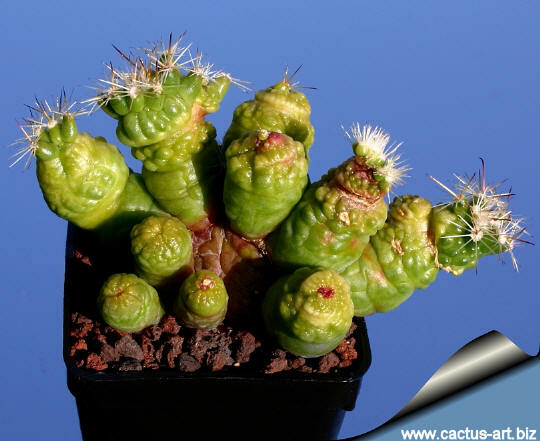 As with most Freds, it began to die at the base (root rot is common); instead of giving up on it, you can cut it apart, let it heal and start many plants from that one. Propagation: It is easy to take a Fred and separate the "blog" into many new pieces. Each piece can be started on its own, with a bit of care, patience and maybe a little luck. 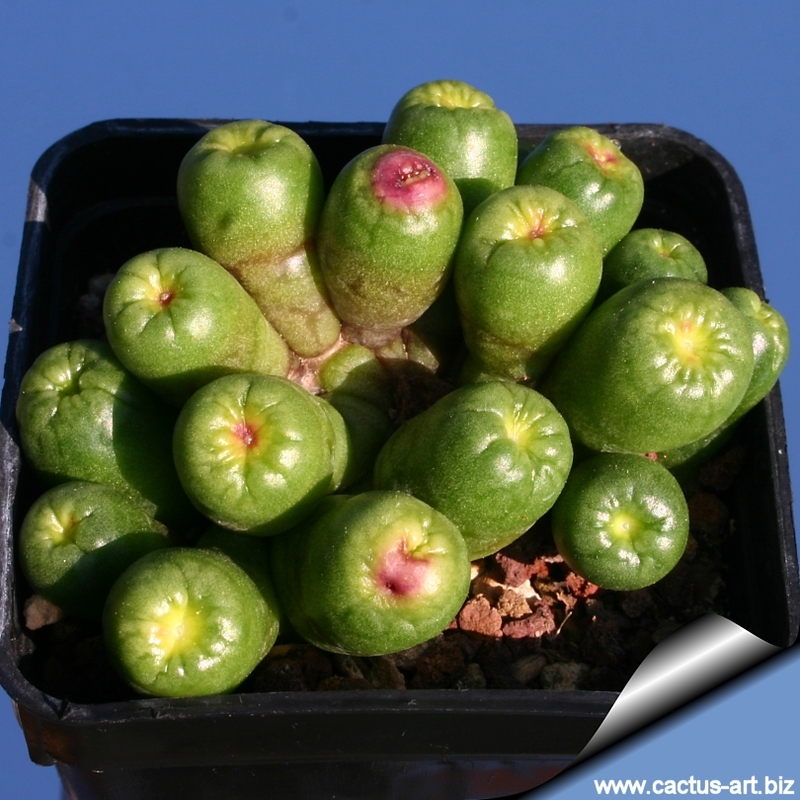 As with most cactus, you can cut a piece, let it dry for a week or so, and put it into the soil and it will grow new roots, if the conditions are just right. 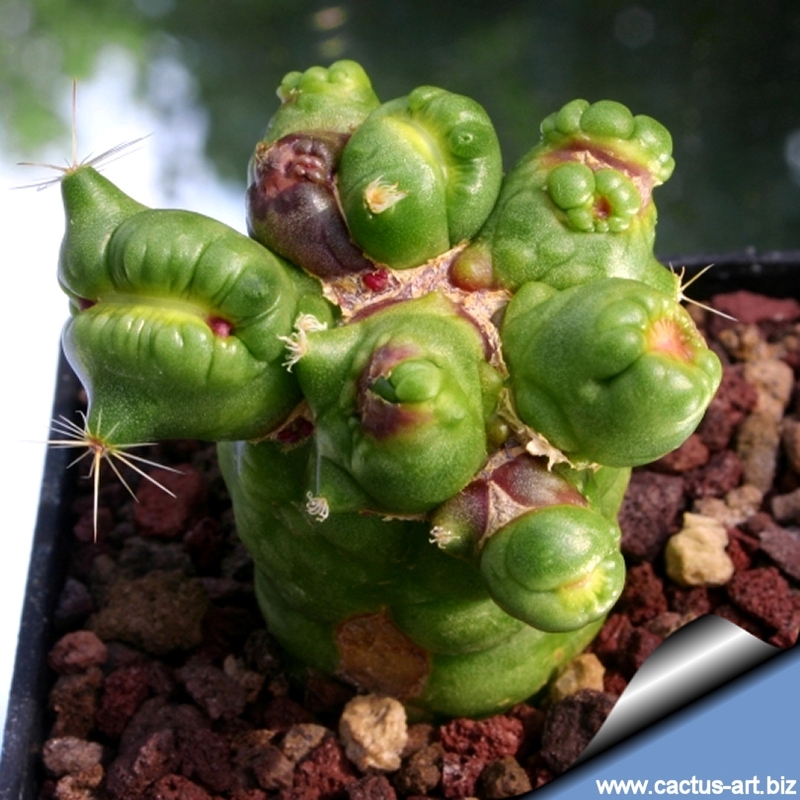 The best luck is with cuttings that are 3 cm or larger; smaller ones will root, but it takes much more effort to keep them alive.